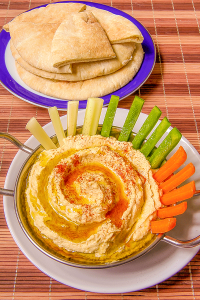 According to the time available, it is possible to prepare this roasted bell peppers hummus either with dried or precooked Garbanzo beans. First, soak the dried Garbanzo beans 24 hours in room temperature water, changing the water a couple of times. After that, simmer the beans a couple of hours, removing the lather with a slotted spoon. Finally, raise the beans and store in the fridge until ready to use. 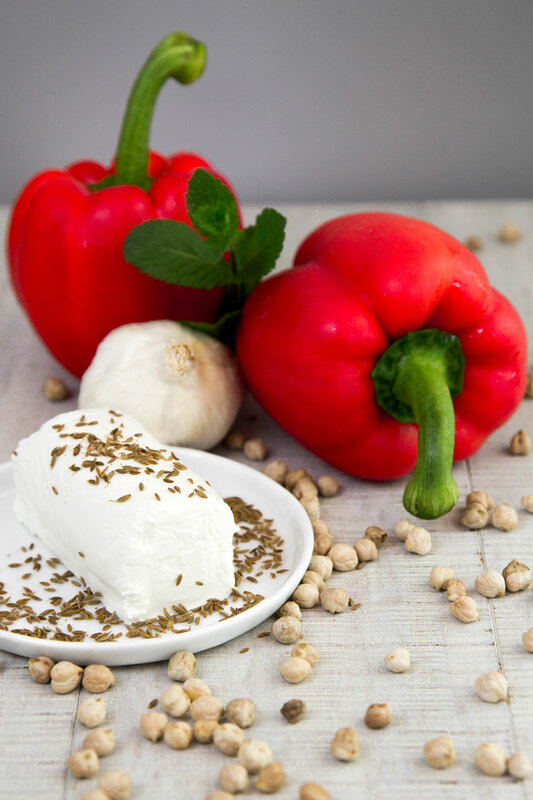 Reduce the bell pepper into pieces discarding the seeds and white parts. Now, place an iron cast pan over high heat. 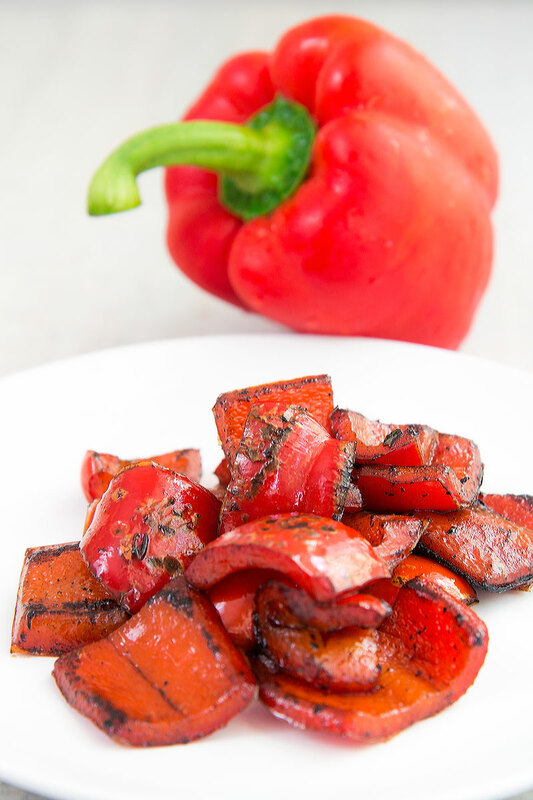 Once the pan is scalding, sear the bell peppers until well toasted, stirring constantly. Then, place the pan far from the heat and keep stirring until the pan reaches a warm temperature. After that, pour 2 tbsp of olive oil over the peppers, place the pan over medium heat and stir-fry 5 minutes more. Eventually, pour the bell pepper in a bowl and put aside. 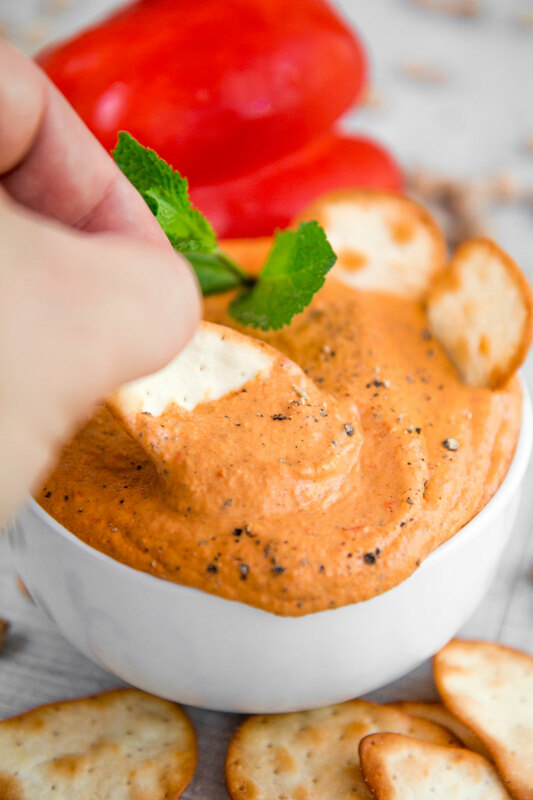 Now, pour all the ingredients along with the roasted bell peppers in a mixer and blend until smooth and consistent. 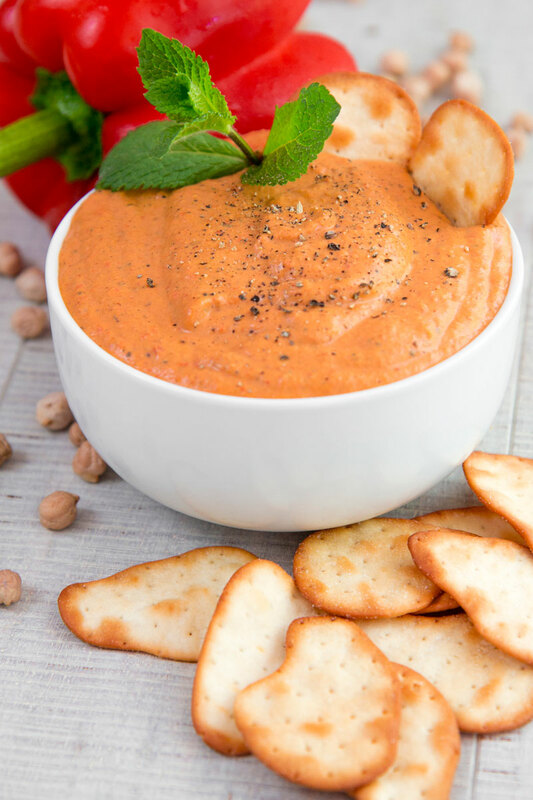 Complete the roasted bell peppers hummus with a sprinkle of black pepper and serve cold or at room temperature. 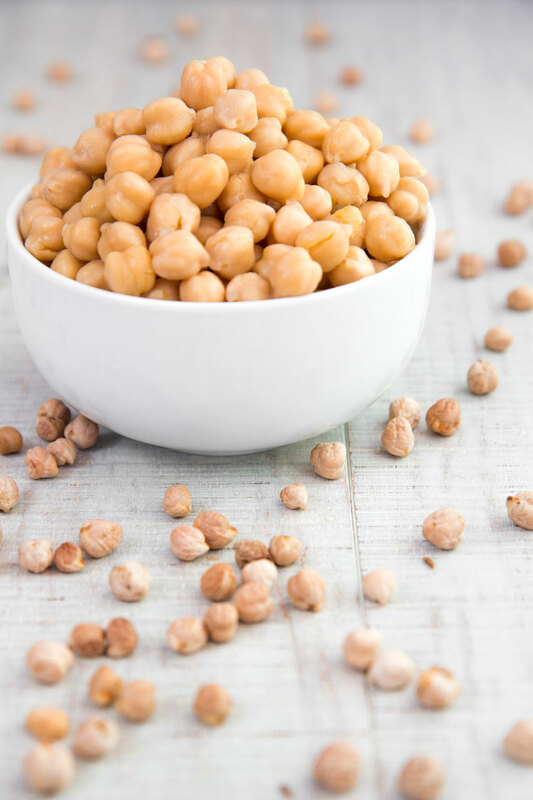 GARBANZO BEANS: DRIED OR PRECOOKED? 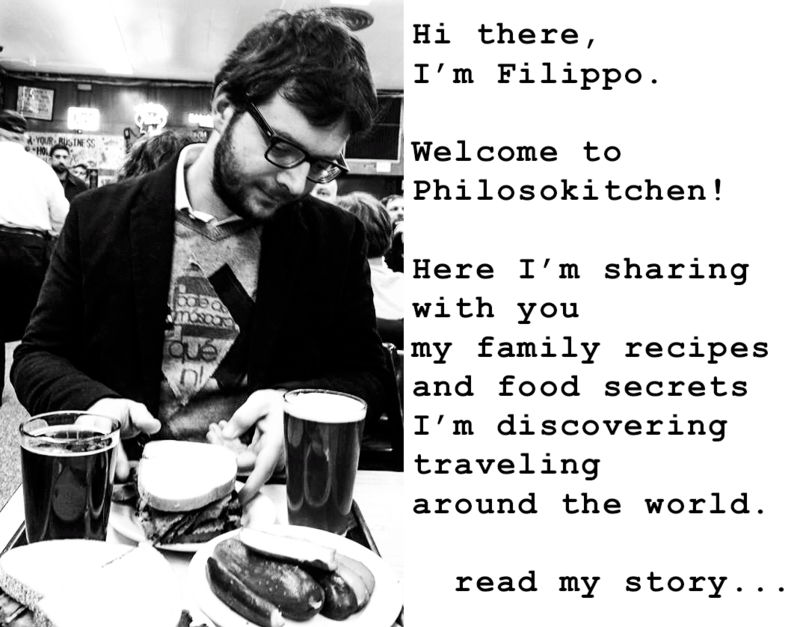 « TARALLI RECIPE – Traditional Italian bread snacks for aperitifs and parties!